Factory recommended maintenance without the high price of the dealer! To maintain longevity & reliability of your vehicle it is important to follow its factory recommended maintenance schedule. Your vehicle is an important investment. Each car's factory maintenance schedule is determined by its year, make, model, maintenance history, and mileage. Let our technicians perform recommended factory maintenance on your car to extend its lifespan and prevent high-cost repairs. Infrequent tune-ups can lead to poor fuel mileage, rough running and difficult starting. Learn when to schedule an engine diagnostic test to determine your tune-up needs, whether it's a fuel injector service to restore engine performance, power and mileage or fuel filter and air filter replacements. 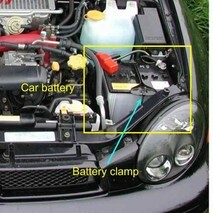 The ignition system provides electrical energy to the spark plug. If the electrical charge is not delivered at the proper time and at its recommended strength, the engine will not function properly. The warning light on your dashboard is an indication that the on-board computer system has detected components operating outside their acceptable range. This can be an indication of a minor problem or one that may require immediate attention. The timing belt is a rubber belt located in the engine compartment. It’s job is to keep the crankshaft in sync with the camshaft(s), ensuring the proper timing and operation of the engine. When replacing a timing belt, we suggest you also replace the water pump, tensioner, and pulleys. If the pulleys and tensioners fail after only replacing the belt, it can cause damage and lead to more expensive repairs. It is therefore essential to replace the whole set. Reinstall timing cover and all removed parts.Start engine and check for proper engine operation and engine timing, as well as for cooling system leaks. The cabin air filter cleans the air that comes into the interior through the heating, ventilation and air conditioning system. It catches dust, pollen and other airborne material that can make riding in a car unpleasant, particularly if you have allergies or other respiratory problems. Recommendations on when it should be replaced vary by manufacturer and how often can depend on how much you drive and where. 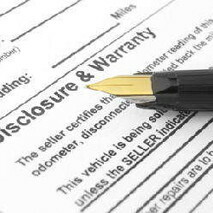 Check the maintenance schedule in your owner's manual. If you drive in heavy traffic in an urban area that has poor air quality, you may need to replace the filter annually or even more often. Reduced air flow through your HVAC system, such as when you crank up the fan too high and you get more noise than results. Even if you don't have these warnings, you should have the filter checked at least once a year. 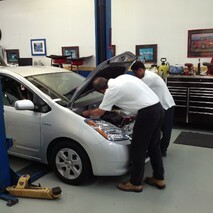 We check your filters for you with every oil change! Ask to see your old air filter after its replaced, and you'll know it's time for a new cabin air filter. Depending on how long the filter has been in service, you might be shocked at what you see: leaves, twigs, insects, soot and grime that literally cover the entire surface that comes in contact with incoming air.